Delivering first class instillation, repairs and maintenance service every time you need us. Here at FSW Gas we understand the need to prolong equipment life. That’s why we provide a 24 hour 7 days a week reactive team of highly trained and experienced engineers to be there whenever you need us. We pride ourselves on first time fix rates as we understand the fundamentals of a profitable kitchen. 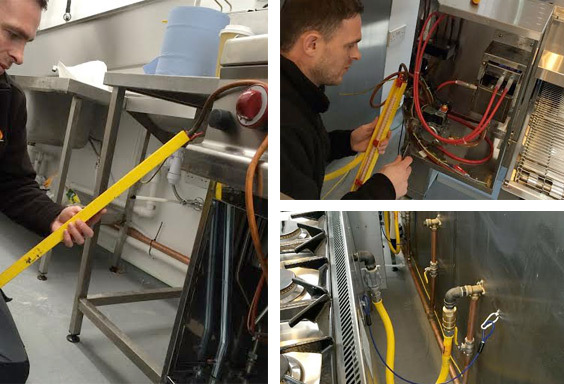 We are happy to tailor our services to meet your requirements from the one off breakdown to a complete kitchen annual maintenance contract. This helps extend the life of your equipment and allows us to help prevent untimely and expensive breakdowns. We offer planned preventative maintenance (PPM) tailored to your specific needs, which improve the profits of your business through the quality of your equipment. Some of the benefits include Increased life span of your equipment, Minimising downtime, Ensuring equipment conforms to legal requirements and Achieving consistently high quality product.